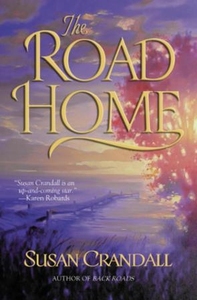 Susan Crandall takes you back to Glens Crossing with a story of heartbreak and forgiveness, of finding your way to the home of your heart. Lily Holt's life is falling apart. Her marriage is over. Her ex-husband is in alcohol rehab. Her teenage son, Riley, is out of control. Looking for a new start and stability for her son, she reluctantly returns to her childhood home, a town she'd left without reservation fourteen years before. But Riley is quickly in trouble again. And Lily's problems mulitply ten-fold when Clay Winters, her frist love and first heartbreak, is thrust back into her -- and her son's -- lives. Will the painful secrets of the past bring her downfall or her salvation?